Located in Parke County, the Covered Bridge Capital, the Motel Forrest is near all that Rockville, Indiana has to offer. There are over 51 covered bridges in this area. Other attractions include the Mordecai ?Three Finger? Brown Memorial, Ernie Plye Home and Museum, and the Bridgeton Mill, Dam and Historic District. For outdoor fun, try Canoeing on Sugar Creek, visiting Raccoon Lake or the Turkey Run State Park. 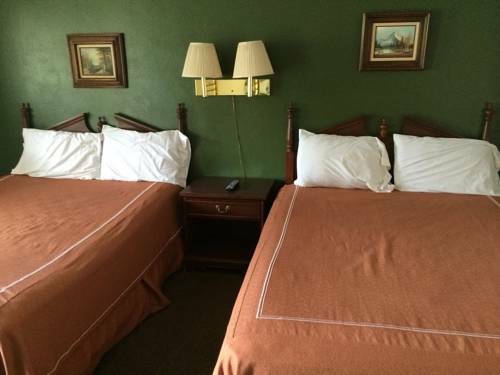 The pet friendly Motel Forrest of Rockville offers guests free parking and free high speed internet access. Front desk hours are 8am to 11 pm daily. All guest rooms feature free high speed internet access, microwave, mini fridge, free local calls, cable TV, and individually controlled heat and air.